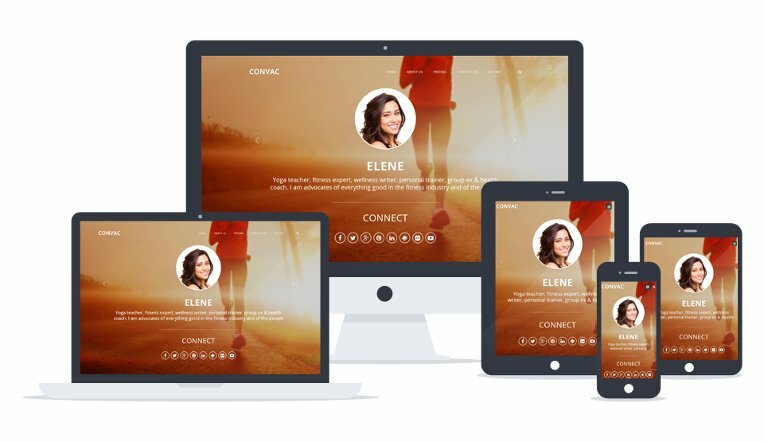 Convac is elegant WordPress theme solely designed for web bloggers. The main aim of theme is to improve blog’s appearance for the end users and making blog posting a cakewalk task for bloggers. The theme has options and features which can customize blog as per your user and interest. Design for bloggers, theme is equipped with integrated features such as- post share, post like, subscription widget, supports to all post formats and many more. 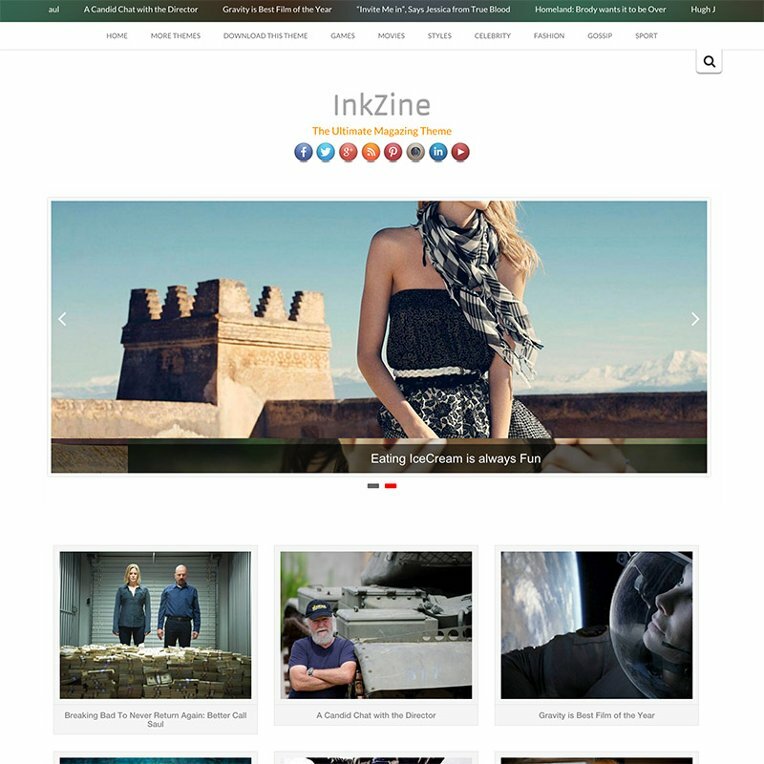 Inkzine Is a High Quality Magazine theme for your WordPress Blog. It comes with Parallax Header, Responsive Layout, Custom Widget, Theme Options, Full Width Pages, etc.. And the Best part, its built on top of Twitter Bootstrap 3.0, one of the best frameworks. Inkzine is fully translation ready, .pot file has been provided for you. Already Translated into French and Spanish. 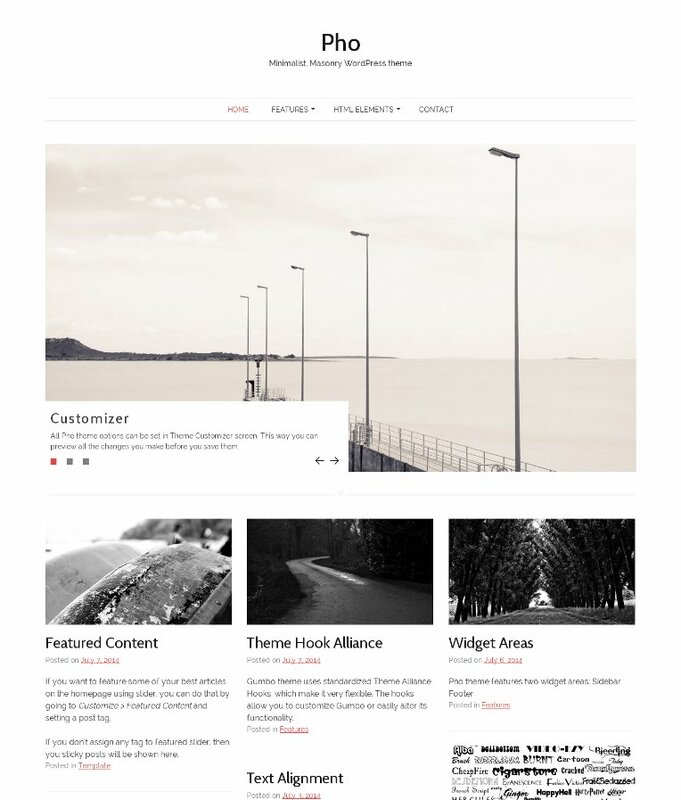 Pho is a clean and minimal WordPress theme designed for personal blogging. The theme comes in white background and focuses heavily on the content. The theme is designed for fast loading and SEO optimized. Elegant blue, black and silver responsive business WordPress theme with 2 business homepage layouts, Two logo section layouts, two or three widget columns in footer, an alternate red color layout, portfolio section, client testimonial section, Full width page layout or page layout with sidebar, HTML5 & CSS3 Responsive WordPress Business theme with business style home page layout with welcome section, 3 product/services blocks and a client quote/testimonial section. 2 logo section layout options. 2 premade (Blue, Red) ready to use color schemes/skins. 3 widget areas in footer, 1 widget area in sidebar. 2 page layouts including a full width page template. 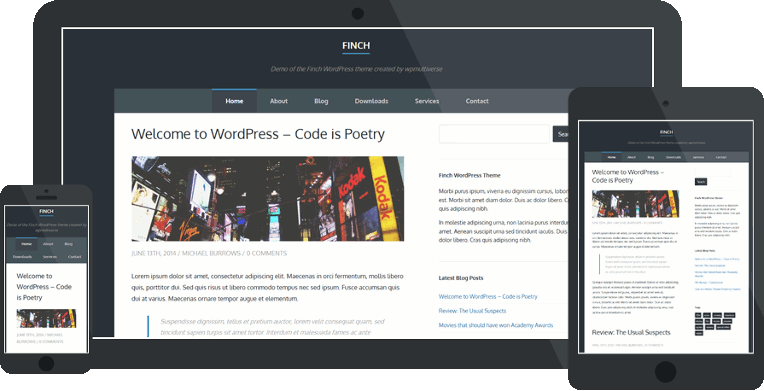 Finch is a lightweight, HTML5, responsive two column theme with a light content area and dark background. The Finch theme is simple to setup and a perfect choice for those requiring a clean WordPress theme. Like all wpmultiverse themes Finch in responsive, SEO friendly and looks great. 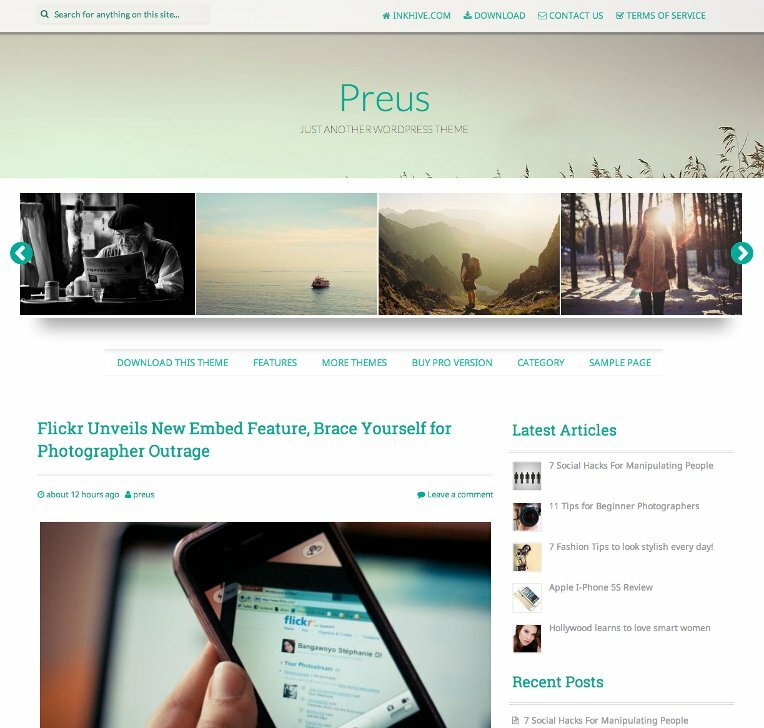 Preus is an absolutely Free WordPress theme, built on the powerful Mobile First Bootstrap 3.0 Framework, from Twitter. While designing this theme, we have given utmost importance to speed and comaptibility with modern devices. The theme doesn’t use any image for theme components, and is built using vector icons. This makes your theme 100% Retina Display Comaptible. 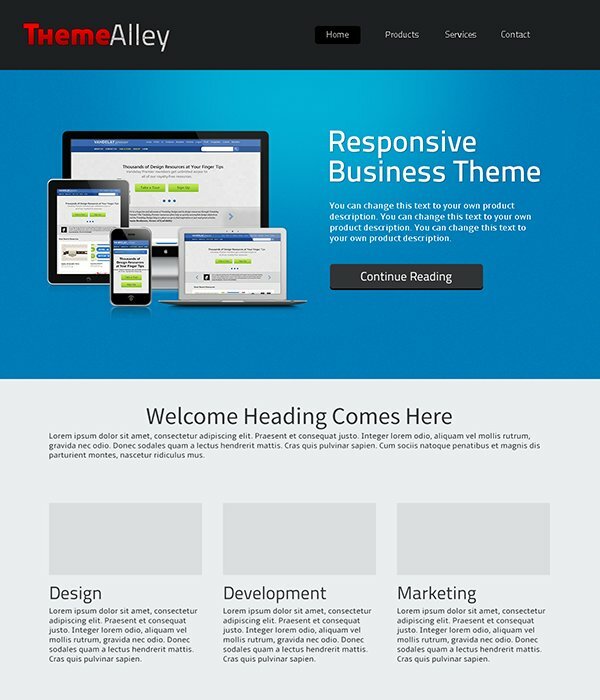 The theme is fully responsive on all Devices ranging from Huge Desktops to Smartphones. Preus is one of our best creations till date. 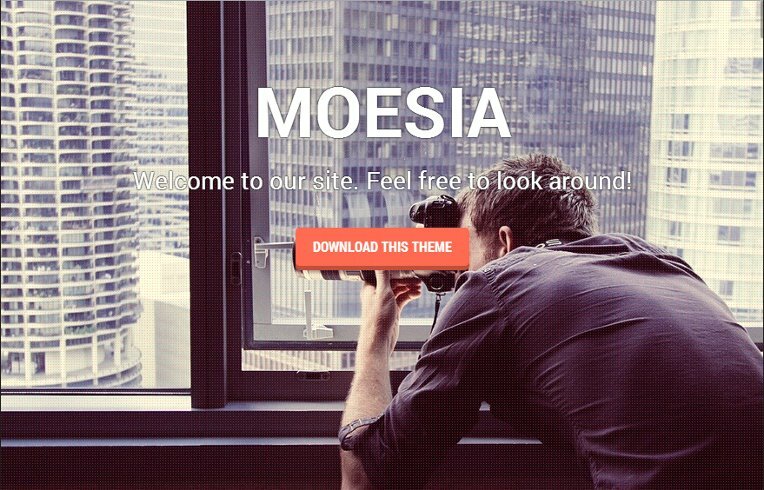 We hope this theme provides you with what you were looking for your amazing WordPress site. 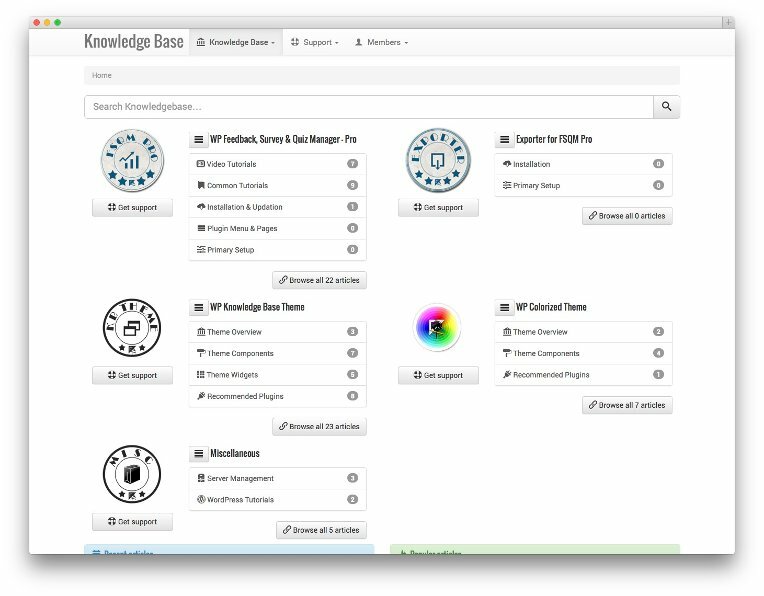 WP Knowledge Base Theme is an open source knowledge base theme designed particularly for WordPress. 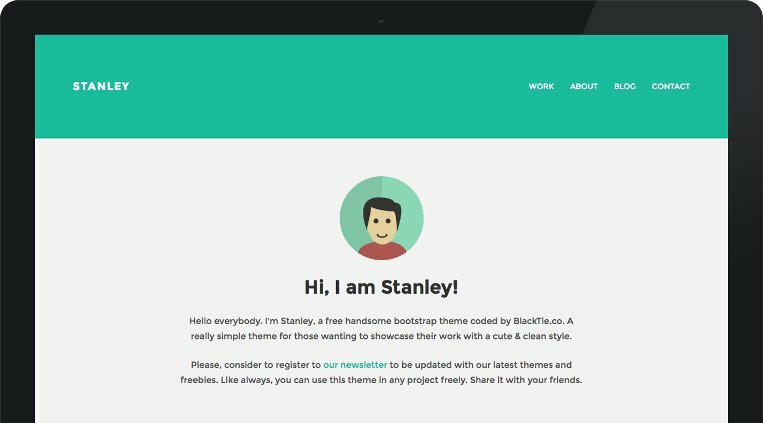 This theme is uses Twitter Bootstrap 3.0 framework for delivering UI components and other open source elements for rendering an excellent framework for your knowledge base theme. It allows you to run numerous knowledge base with categories and posts and nothing else. This theme allows includes functional features that provide superior user experience for your customers. You can also affix custom images and icons to spruce up the appearance of your site. This theme is actually created with a streamlined Knowledge Base and Support Forum.